Beauty and grace are embodied in our Dyersville Modern Dining Chair which features a steambent back, twisted legs, and comfort scooped wooden seat. 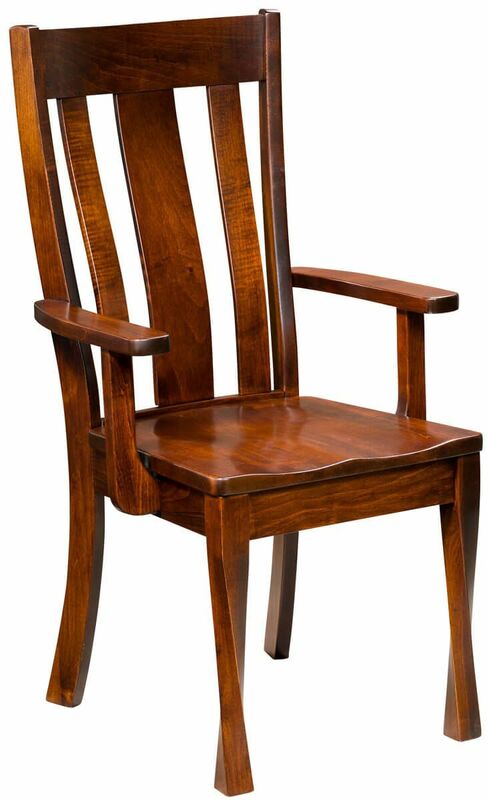 Our made-to-order Dyersville Modern Dining Chair lends comfort and style to any room. A wide center and two accompanying back slats are steam bent for superior lumbar support, while the wooden seat is scooped for additional comfort. Twisted front legs add a modern twist, while your hardwood and wood finish selections truly define the style. 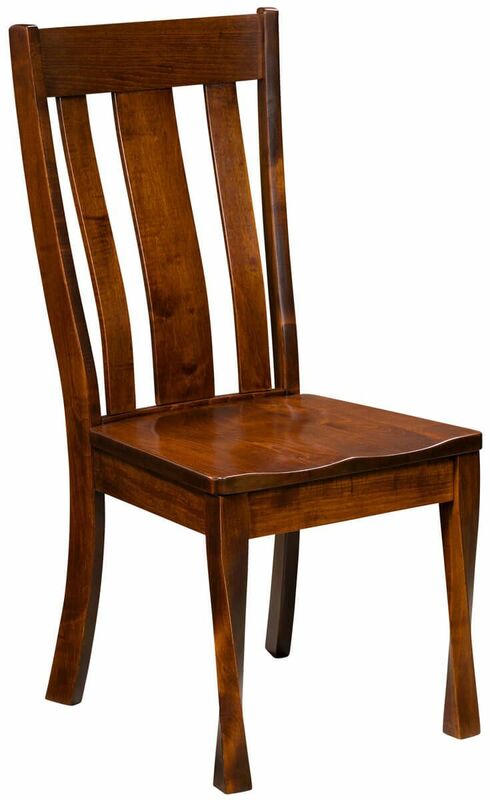 Have your Dyersville Modern Dining Chair handcrafted from any of the hardwoods and stains listed in our online options menu. While the side or arm chair is standard with a hardwood seat, premium fabric upholstery or full grain leather is also available.